As much as getting kids to learn golf for recreation and fun, it is also important to get them to play golf to realize their talents. Many adult golf players have grown up to be professional players right from childhood simply because they realized their talents and started to develop them. It is therefore important for you to enroll your child in an early golf practice as they will learn faster as compared to when they are already grownups. They also get to love golf playing because as in the case of a grown up it might seem a little bit difficult to develop their interests in golf, so it is crucial to register golf training now especially for junior golf lessons malaysia. As a parent, once you get your junior on golf playing it is much important to keep track of their golfing because once you show no concern or interest, they will definitely lose interest too. Get them to play it right. In the case of a young child, it might be very difficult to teach them on how to hold the club and develop the right swing. This is because a young child of say five years or below only wants to have fun as if they were playing the games they are used to. Therefore, let them explore the game of golf on their own until the right time. All you need to do is to be by their side to correct them on a few moves and not the strict fundamental golfing rules. This way, you are nurturing their interest in the game and within no time, you will be ready to teach them the right grip and swing for proper golfing. 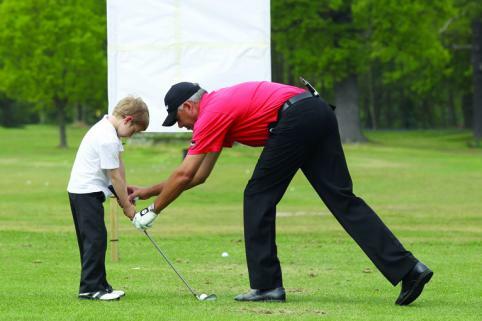 To attend junior golf lessons malaysia, six years old is the right time. As the kids develop interest, it is time for you to enroll them in serious golf training. This means you need to enroll them in golf school with the right training facilities that suites the kids. While they are away from school, you can as well put them under practice. Teaching them how to putt is the first step towards developing golf for a junior. Start by getting them to do short putts of about three feet. This will get their confidence right as they will want to do more of the same. 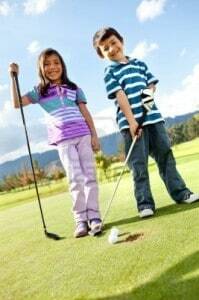 At Junior golf lessons Malaysia, we train your kids from an early age, starting from 6 years old.